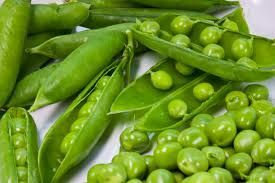 Peas are hardy vegetables that grow in lovely green pods. They have a soft texture and a subtly sweet flavour. They are often eaten alone as a side dish or cooked into soups and casseroles.